One of the country’s most senior trade unionists today urged his colleagues to seek inspiration from the workplace struggles of Victorian Britain for a new generation of battles with unscrupulous bosses. Steve Turner, assistant general secretary of Unite, said the labour movement should look to historic victories from groups such as the Bow match girls and Millwall dockers. He was speaking at a TUC fringe meeting, organised with GMB, where he laid out how Unite had fought Mike Ashley over the mistreatment of workers at a notorious Sports Direct warehouse in Shirebrook. The union built trust with 4,000 migrants from Eastern Europe – where workers’ groups were sometimes seen as “irrelevant” – through helping with English language courses and meetings in churches and homes. 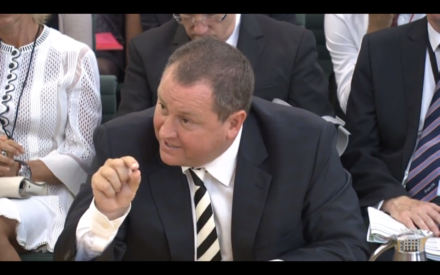 Turner, who has played a key role in the continuing dispute with Sports Direct, said the retailer represented the “tip of the iceberg” of workplace exploitation but said trade unions could learn from the struggles in Bow, in 1888, and Millwall shipyard in 1926. Ian Lavery, shadow cabinet office minister, made an impassioned case for the role of trade unions in the twenty-first century but warned that Labour needed a fresh generation of achievements if it is to win power once again. TUC annual congress runs from Sunday 11 to Wednesday 14 September in Brighton. To see the rest of our coverage go to LabourList’s trade unions page.